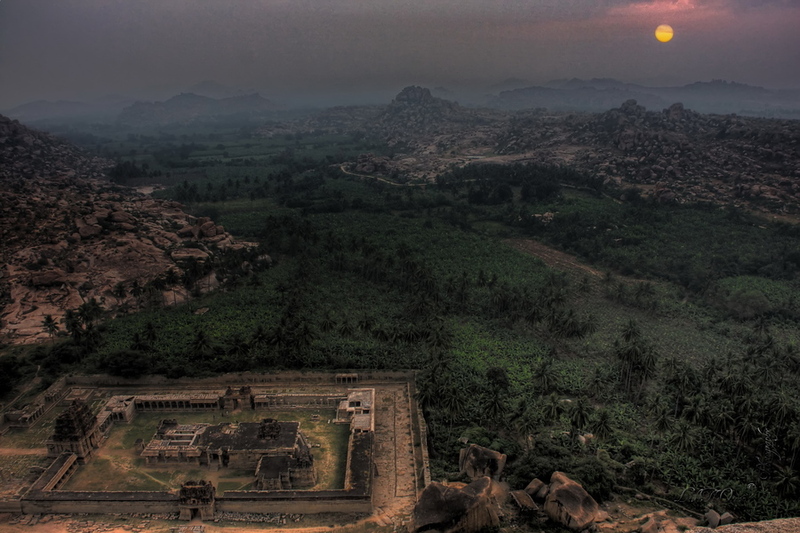 Hampi, a village in northern Karnataka, India, was one of the richest and largest cities in the world during its prime. 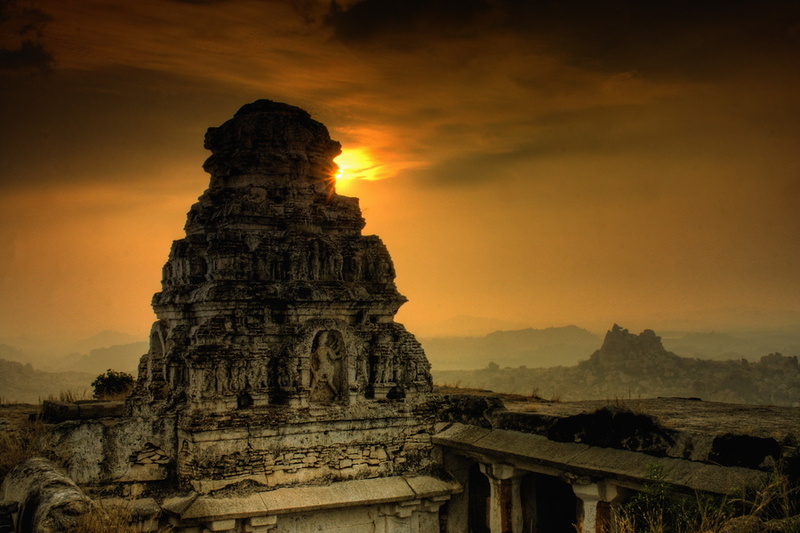 It is located within the ruins of the city of Vijayanagara. The ruins are a UNESCO World Heritage Site. 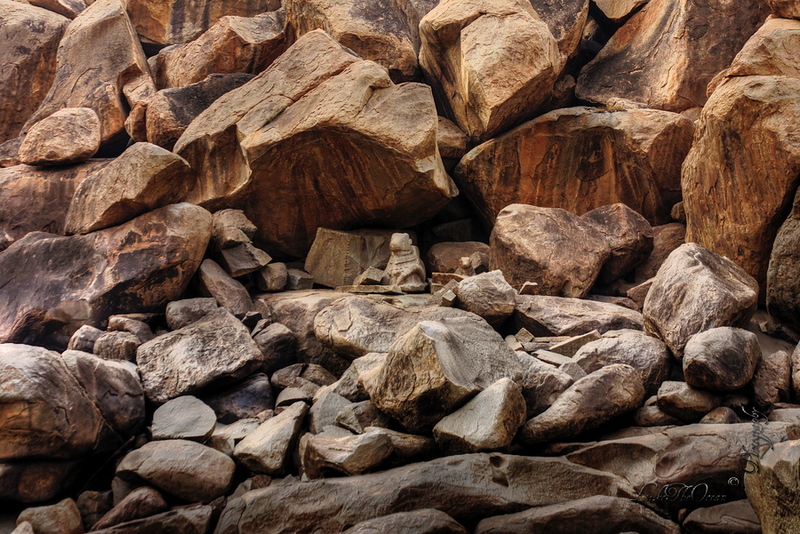 A trip to Hampi is incomplete without the trek to Matanga hills. 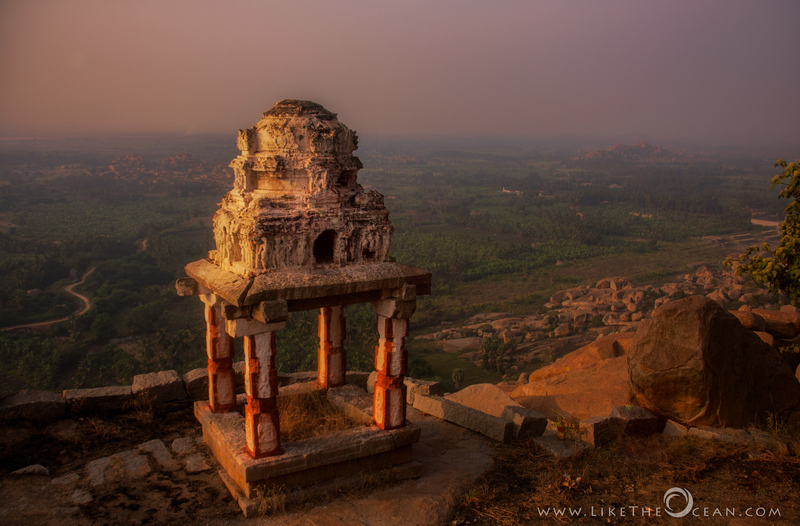 Matunga Hill, being at the center of Hampi, and also the highest point, is the best spot to get an aerial view of Hampi and it’s surroundings. One can experience the true essence of any new place much deeper – in the first few moments leading to the sunrise and a few moments after, when the world around us is waking up from a slumber. And the rooftop of the Veerabhadra Temple at the summit is the ideal place to experience it. Apart from the Veerabhadra temple, there are lovely views sprinkled around, like these. A visit to Hampi, the capital of the erstwhile Vijayanagar Empire, will surely transport anyone to the ambience of a golden age. If even at ruins this attracts so much of visitors from across the world, wow, how grand it would have been at its peak. The ruins even at the current state speak eloquently of the past glory. This probably is the ‘largest open-air museum in the world’ . With over 2,000-listed monuments and many more unlisted ones, scattered over 25-30 sq km, this has treasures around every nook and corner. This is a pseudo digital oil painting based on the sunset from that particular evening. I am still refining on my workflow and painting process. How do you like the same ?!!! This weeks shot is in entire contrast to last weeks spring image with so much vibrance and energy. 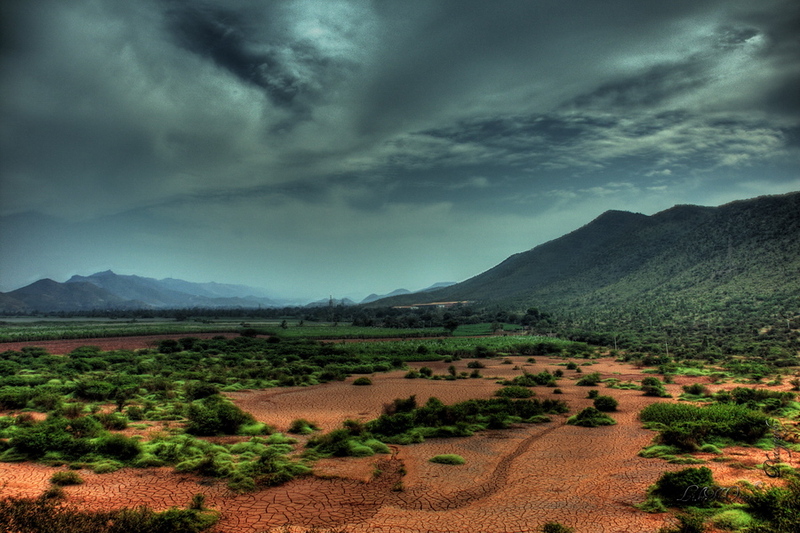 It is from enroute to the dream land of Hampi from Bangalore. The dry brittle land reminded me of drought, but the monsoon storm that was building up that afternoon, was so very promising. For reasons unknown this scene evoked a mix of emotions in me. Nature has a peculiar, but very effective way of keeping things in balance. Be it thru drought or flood, famine or tsunami, forest fire or rain, abundance or dearth – there is a reason and rhyme behind everything. It just happens, with the flow. 2010 had been a great year. Just that it flew fast, real fast ! Wishing a very happy and a prosperous 2011 to all my readers. And to me – hoping that I would keep pace with 2011 as much as I am wanting to. Though I had been blogging on and off for quiet some time now, I had not shared as much as I wanted to (oh no, not the rare ramblings, but atleast some inspiring photographs ! ). 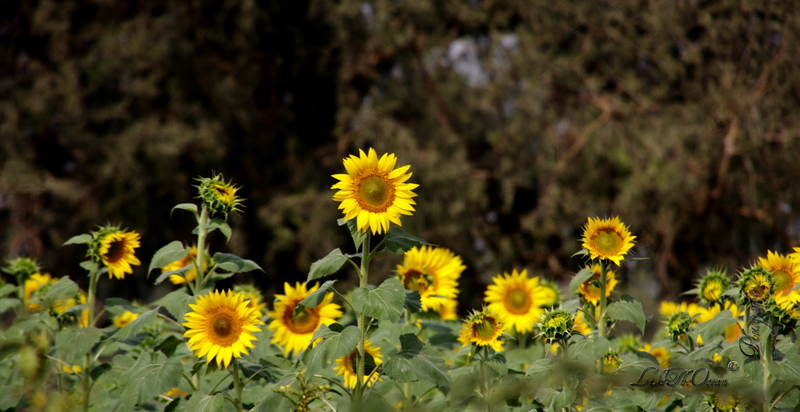 This week shot is from the numerous sunflower fields en’route Hampi to Bangalore. Hampi by itself is so majestic, that these travel experience are noting but an additional bonus! It is not who you are that makes you stand out. It is what you do, with what happens to you , that makes the difference !!! 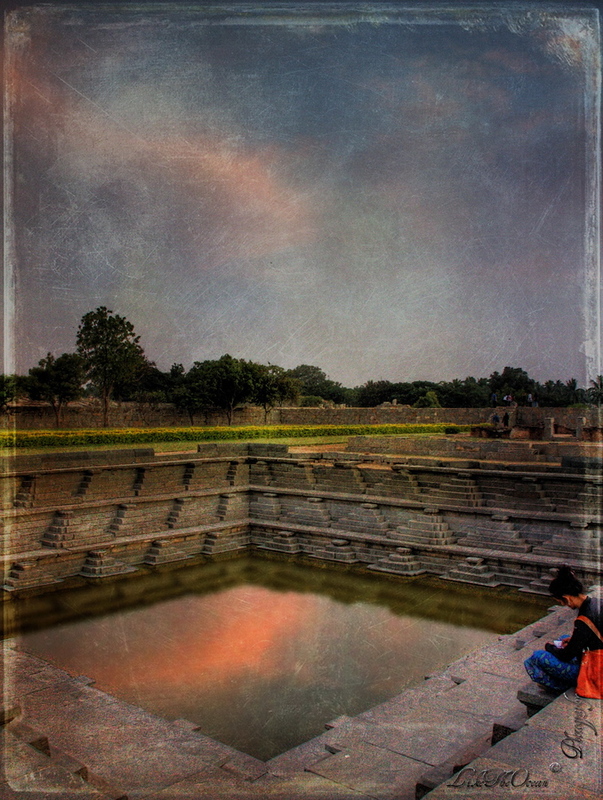 This one is from the Hampi trip. It is one awesome place. It really deserves to be called the playground of kings & gods. Was about to set the tripod for a classical sunset shot, just then the security rushed to indicate that the tripod was not allowed (as always, wonder where they come from !!! ), not very lucky with that. Realized would not be able to capture the dusk, as the light was getting low. Then decided to increase the ISO and try out a diff angle. To compensate for the little noise tried out the textures. Really love the way it adds to the mode of the photo and how it came out.